Eric Person is setting a new standard in sound. 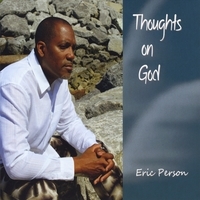 For over twenty years, Eric has been committed to composing, recording and performing contemporary American music. He plays the alto and soprano saxophones and flute and is featured as a leader and sideman on more than 30 recordings. Eric studied at the St. Louis Conservatory of Music and has been active in the New York and international jazz scene for decades. His broad range of experience with Dave Holland, McCoy Tyner, Chico Hamilton, Ronald Shannon Jackson, the World Saxophone Quartet, and John Hicks, have all contributed greatly to his mature alto and soprano sound and his skills as an arranger and composer. After many years of making a name for himself, bassist Dave Holland asked Eric to join his band in the fall of 1993, this was by far Person's most challenging musical experience. Dave's use of odd meters, free time, and modality was just the opportunity Eric was looking for. They released Dream of The Elders, which highlighted a sound that was light, energetic and ethereal. Person's association with Dave Holland opened the doors to an even more fruitful period that continued throughout Eric's work with the World Saxophone Quartet (WSQ). For the next four years, Eric was performing with Dave Holland, WSQ, Chico Hamilton and also debuted his first CDs for Soul Note Records: Arrival, Prophecy and More Tales To Tell. 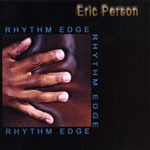 Eric released his debut album Arrival in 1993. Arrival emphasized a variety of styles and Eric’s willingness to take chances. It was an auspicious beginning which paved the way for his 1994 release, Prophecy. Prophecy was more conceptual, focusing on solo, duo and trio settings, while mixing Eric’s songs with those of John Coltrane. Down Beat Magazine gave these recordings 3 1/2 and 4 stars respectively. 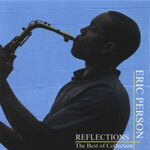 In 2005, Eric released his sixth CD entitled, Reflections. It includes a combination of his favorite previously recorded compositions and three previously unreleased live tracks. It's a reflection of Eric as a bandleader, composer and improviser expressed through his favorite performances as a leader. 2010 brings us Person’s eighth CD as a leader, The Grand Illusion. He calls this his rhythm and groove project. Donald Elfman of All About Jazz says: saxophonist Eric Person seems to find something new to say and a different direction to follow with every project he undertakes. The Grand Illusion is definitely a groove project, a collection of danceable yet thought provoking jams and comfortably passionate settings. The music seems daring at this time, recalling as it does the jazz/funk experiments of the past and the commitment of the players makes it work. Despite the fact that this is a groove album, it doesn't get bogged down in sameness thanks to the diversity of the tunes. Morning Prayer has the serinity of a Coltrane ballad. More Tales to tell and Driving Rain let us know that knockout rock hard explosions can feel spiritual too. All About Jazz musician pages are maintained by musicians, publicists and trusted members like you. Interested? Tell us why you would like to improve the Eric Person musician page.